Pharma users come to conquer particle size demons! 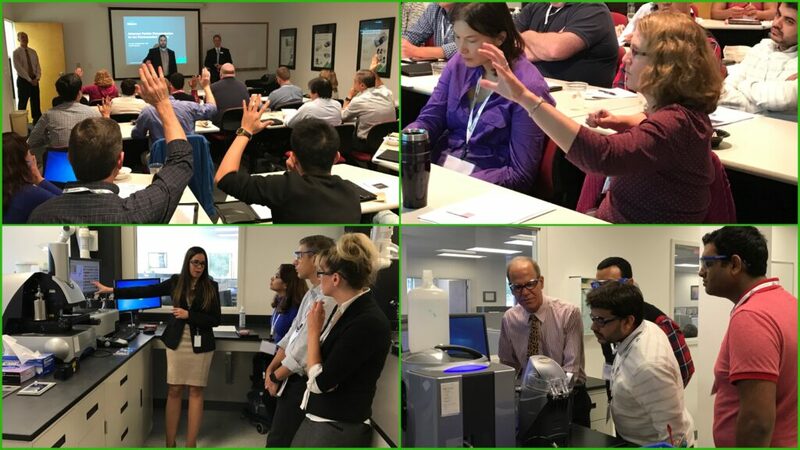 On September 29th, Malvern Instruments hosted a “Advanced Particle Characterization for the Pharmaceutical Industry” workshop at our Westborough, MA office, focusing on applications, best practices, and the latest developments in particle characterization for the pharmaceutical industry. The seminar featured interactive presentations by our Product Manager for Laser Diffraction, Joe Wolfgang, who covered the Mastersizer 3000, including Hydro Sight, and also went over how to interpret particle size data for both wet and dry measurements. 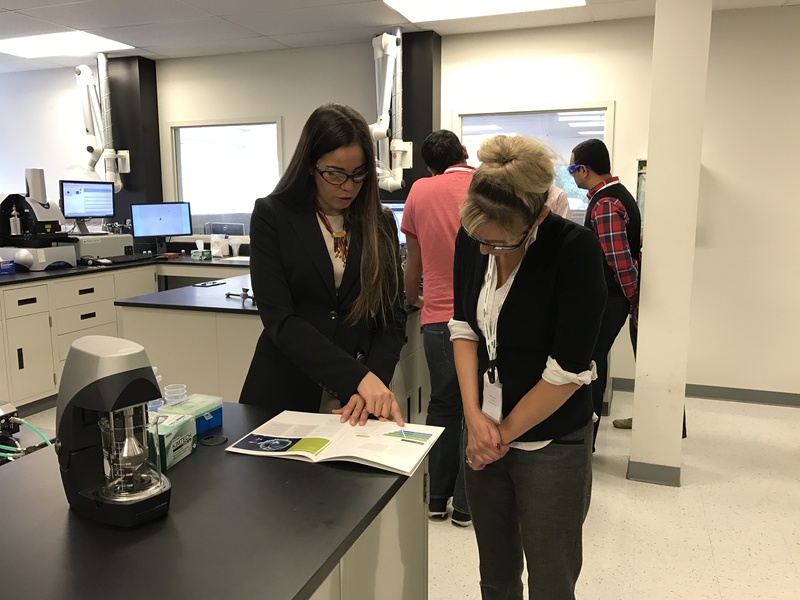 Josemar Castillo, Associate Product Manager, Imaging presented the Morphologi G3/G3-ID and its ability to provide advanced, orthogonal measurements of pharmaceutical products. We also welcomed Julie Quinn, XRD Product Manager from fellow Spectris company PANalytical to present on X-ray diffraction. After a morning of presentations and interactive discussions, the afternoon was spent in our lab, where live demonstrations of the Mastersizer 3000 and Morphologi G3 were offered for attendees. 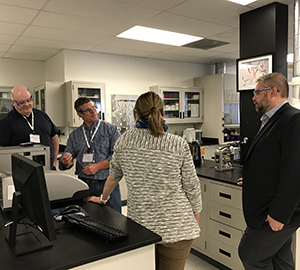 Other members of the Malvern applications and technical teams were on-site as well for some of our other products, offering attendees an opportunity to see the full breadth of our characterization technology for the pharmaceutical industry. Keep an eye on our website and your email for future Malvern seminars. We look forward to seeing you at a future event!